Construction is underway on 1399 Maryland Avenue, the first new residential building north of the Southwest freeway and south of the National Mall since urban renewal. Originally planned as an office building at The Portals, Republic Properties decided to change course and build multifamily instead. The current design by Robert A.M. Stern Architects is for a 373-unit rental apartment building. Many of the units will have sweeping views of the Tidal Basin and the building will be prominent for drivers entering the city on the 14th Street Bridge. Delivery is scheduled for 2019. Add another lobbying firm to the list of office tenants at The Wharf. 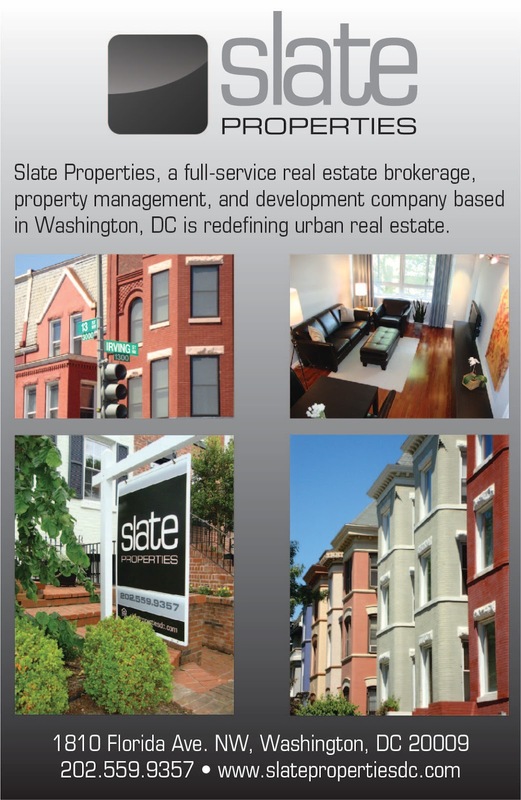 If was announced that Cornerstone Government Affairs will relocate its headquarters from Capitol Hill to 800 Maine Avenue in 2018. The public policy firm will take 15,000 SF of space on the 7th floor of the 11-story office building. Cornerstone Government Affairs will join the American Psychiatric Association, MakeOffices, and Van Scoyoc Associates at 800 Maine. The only one not supported was for The Anthem. In light of the reduction in hours on Metro, the ANC has concerns about the egress of concertgoers late in the evening. A group of commissioners will negotiate with the operator to come up with a solution that will give the ANC more confidence to give their support for the liquor license. A community meeting will be held tomorrow evening at the Southwest Branch Library to begin discussions regarding the new, $18 million stand-alone library that will replace the current building. 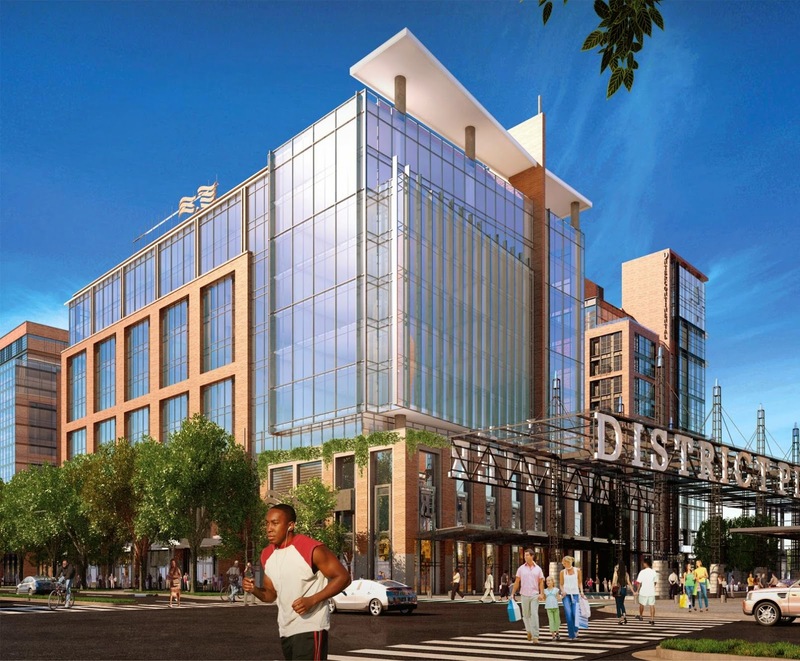 DCPL recently selected Perkins + Will and Turner Construction as the design-build team for the library. At the meeting, you will get to meet the design team, learn about the project schedule, and share ideas. The meeting will start at 7pm tomorrow at the Southwest Branch library, located at 900 Wesley Place in the lower level meeting room. 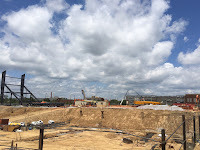 Vertical construction is underway at Audi Field, the future home of D.C. United at 2nd and R streets in Buzzard Point. The most visible portion so far is on the western side of the construction site along 2nd Street, where a portion of the stands has been erected. A groundbreaking ceremony occurred in February after the Zoning Commission approved the PUD for the project, but site work was underway for several months prior. A webcam has been installed so you can keep track of construction progress. Across R Street from the stadium site is the new Pepco substation, which is concurrently under construction. Its brick exterior is visible in the photo below looking north. An easement for Pepco transmission lines runs below the stadium site and will connect to the new substation. Audi Field will contain about 20,000 seats and 31 luxury suites. An adjacent site on the east side of the stadium will eventually contain mixed-use development, likely to be retail and residential. The stadium is scheduled to be completed around June 2018, so D.C. United will need to play the first portion of their season on the road since their lease at RFK ends this year.